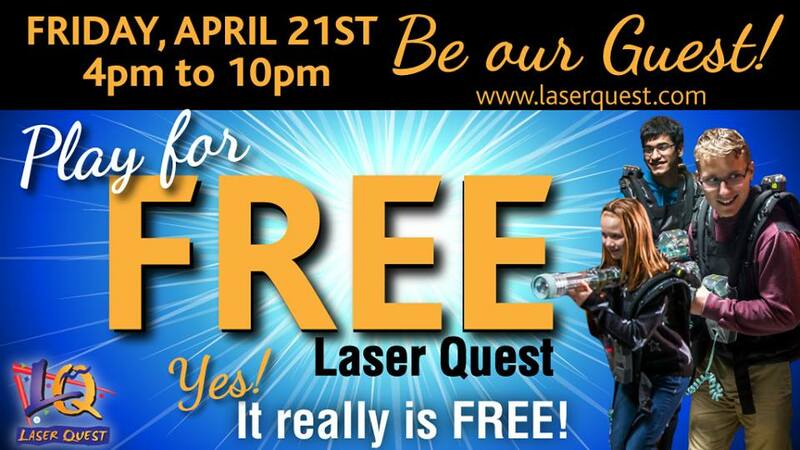 Play laser tag for FREE at Laser Quest Gwinnett on Friday, April 21st from 4pm to 10pm! Yes! It really is FREE! Share the news with Friends and Family… It’s going to be a Blast!